Services - Team 33 Music S.L. We bring your musical idea from scratch to a complete finished production. Our producer team is able to process your song into an industry standard commercial format. They are specialized on going to the core of your idea and find the right suite for it. With the experience of several decades in the music business and a network of absolute professional top musicians we guarantee achieving the best end result, using modern digital and powerful analog equipment to fit industry standards with a world-class unique sound to move your project forward. There are basicly no limits. We provide one of the largest recording rooms in Europe, feature high quality euipment and an excellent selection of the best microphones in the world. We are able to record a live session in a complete ensemble. Besides nowadays digital recording we even offer analolg track recording or digital track recording on a legendary STUDER D820. In a fast digital world it might seem weird, that we still keep those machines alive. But did you ever really have the chance to experience your music recorded this way? We love sound and there is not much more to say about it. Your mix doesnt convince you? It’s missing that something to sting out? Especially when your mix sounds “digitalized” and sterile we are your solution. We will route every track through absolute high-end audio gear to get the best sound, that your music deserves. The vocal-sound is very important to us, because the voice is transmitting it all to the listener. 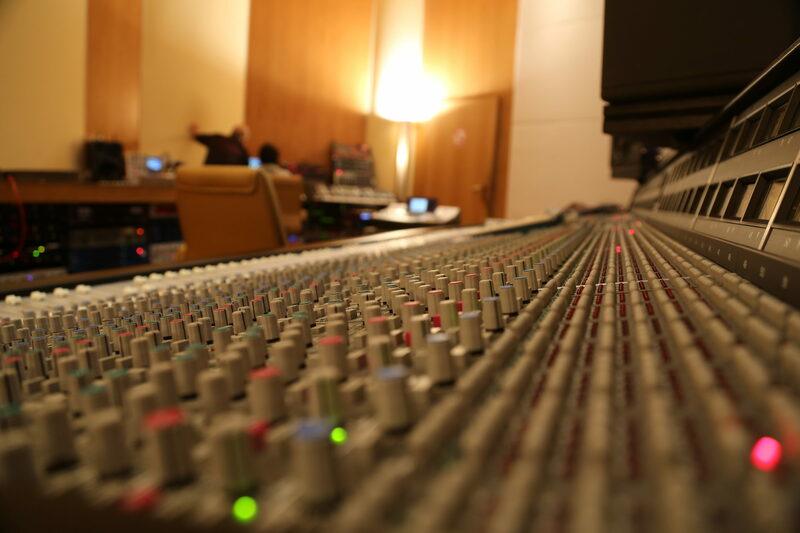 For us the mixdown is like the “make-up” for the voice, so we focus on analogue and accurate mixing to achieve a powerful overall sound-picture. Considering the mix we are not too conventional. We are focused on the music and the feeling of the song itself, because that’s what music is – feel alive. The final shine on your mix. Our LEDE certified control room is optimal for every kind of music and you will be surprised what possibilities and dimensions of sound its acoustic design offers. When your mix sounds great in our studio it will sound even better on any other speakers outside the studio. That’s why we master directly inhouse, so there won’t be a detrimental change on all the work we put into our mixing by another mastering studio. We also offer analog mastering on a STUDER A820, to give that thick warm round off colour to your product. We also produce visual content for YouTube, promo videos, music videos or realize a session with your band in our recording hall being captured on camera. Further we provide a 6 meter wide chroma key wall (Green Box) in our facilty for creating very valuable images considering post production. Besides a sufficient selection of professional lights for in- and outdoor use we have several cameras to meet many specific technical needs of your project.